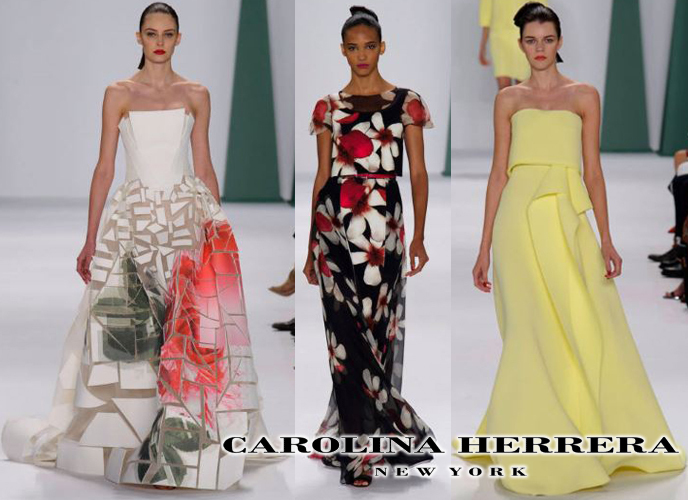 Runway Rundown: Carolina Herrera’s Spring Summer Ready-To-Wear 2015 Fashion Week Collection! 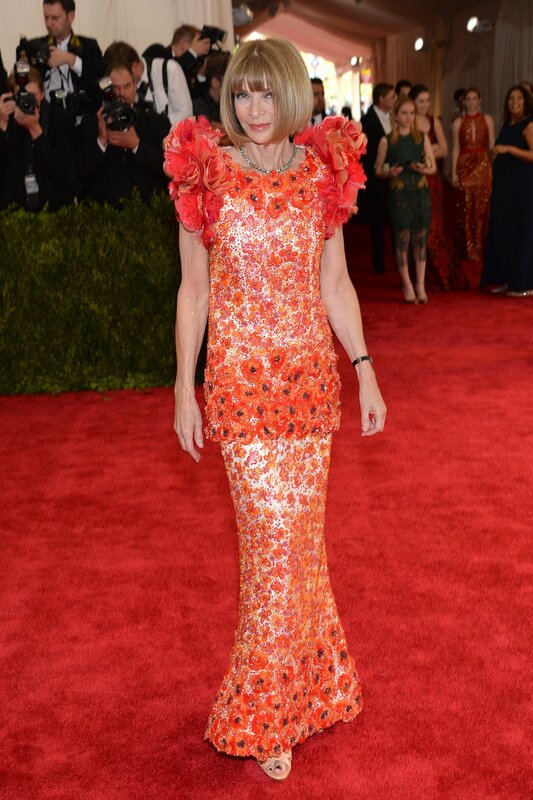 One of the most innovative, yet consistently classic designers I’ve ever seen is Carolina Herrera. Her designs are always flirty & feminine, yet there’s a modern element that shows her relevance among the top players in fashion. Her latest presentation of the Spring Summer Ready-To-Wear 2015 collection for this season’s New York Fashion Week (#NYFW) was just that & more. In her own words, the line explores “full bloom,” using the technology of digital prints with bold flower inspiration over seemingly watercolored floral details on each look. Also, the soft blend of pastels against luxe & dramatic separates make this a truly beautiful runway experience, one that I would’ve loved to see in person in motion. As you an see fro the video, as well as the gallery & slideshow below, there’s an effortless blend of futuristic mosaic cuts with paneling & refined grace that exists in the collection. Sometimes florals can be matronly, but this show appeals to Style Darlings of any age who seek elegance with high style. It’s no wonder why Herrera has a loyal celebrity following that includes Renee Zellweger, Emmy Rossum, Jordana Brewster, Camilla Belle, Olivia Palermo, & many more! To shop through Herrera’s previous work & for your pinning pleasure, check out retailers like Neiman Marcus, Saks Fifth Avenue, Gilt, Boutique 1, Harrod’s, Macy’s, Bergdorf Goodman, & Net-A-Porter. Also, for more from Fashion Week, check out previously posted galleries including Monique Lhuillier, Diane von Furstenberg, & Michael Kors. Happy Styling!